Douglas E. Danner, CT(ASCP), founder of Danner Laboratory, graduated from the University of Oklahoma with degrees in Microbiology and Chemistry as well as graduating from the OU School of Cytotechnologist. He earned two U.S. Army fellowships to Memorial Sloan Kettering Hospital for Cancer and Allied Diseases in New York City where he studied under distinguished pathologists Myron Melamed, Steven Hajdu and Leopold Koss. Doug also studied under Dr. Stanley F. Patten, who developed precise criteria for “Diagnostic Cytology” allowing more accurate and precise correlations between cytology and biopsy. Following his service in the U.S. Army, Doug set up the first Cytology lab at the V.A. Hospital in San Diego and became an Educational Coordinator for UCSD School of Medicine, teaching Cytology to resident medical students and conducting Continuing Education programs like the “San Diego Diagnostic Cytology Seminars”. 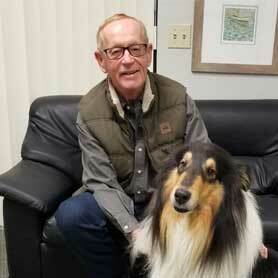 Doug applied his ”Diagnostic Cytology” knowledge and established Danner Cytology Consultants in 1976. He set up Cytology labs in Gynecology offices throughout the San Diego North coastal area working directly with Ob-Gyn physicians. Doug is passionate about women’s health and cancer detection and Danner Laboratory has been on the forefront of cervical cancer screening and prevention. From the beginning of the laboratory operation, Doug had the desire to keep the lab on the cutting edge of technology. Danner Lab was the first lab in the Western U.S. to utilize the Thin Prep Imaging System in 2002 and the first local Lab to offer molecular testing for HPV, Gonorrhea and Chlamydia from the Pap vial. More recent test developments include molecular testing to aid in vaginitis evaluations and direct to patient testing for STI’s. Yin-Peng Chen, Ph.D., joined Danner Laboratory in Feb. 2016 as head of the Research and Development department. 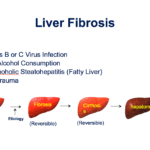 He is responsible for expanding the company’s diagnostic portfolio in the fields of infectious diseases, liver diseases, and cancer. In addition, he is in charge of the regulatory affair. 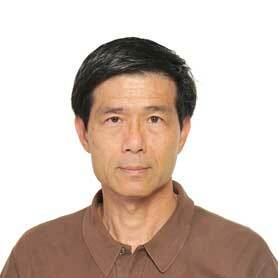 Dr. Chen has more than 20 years of in vitro diagnostics (IVD) development experience. Prior to joining Danner Laboratory, he gained his product development and regulatory affair expertise through working with a number of industry leaders including Clinical MicroSensors, Focus Diagnostics, Quest Diagnostics, and GenMark. During the tenures, he was instrumental in designing the first and standard assay for the eSensor platform, as well as achieving reagent formulation breakthrough which allowed difficult sample such as stool to be used in polymerase chain reaction (PCR) for C. difficile detection directly without the tedious extraction step. In total, he has developed dozens of assays for detecting pathogens, genetic mutations, and cancer markers. Some of the assays obtained FDA 510K clearance and Premarket approval (PMA) status. Chen holds a BS of veterinary medicine and a MS of immunology from National Taiwan University in Taipei, Taiwan; and a PhD of Cellular and molecular biology from Medical University of South Carolina in Charleston, South Carolina. Alison Regan joined Danner Laboratory in January 2016 as a Marketing Executive. She is responsible for maintaining existing Physician relationships while expanding the company’s outreach to the ObGyn community. She is currently extending marketing efforts to reference laboratories who have a need for outsourcing cytology, pathology and molecular testing; exhibiting cost savings and improved lab operations. Alison is instrumental in strategic guidance in Danner Laboratory product through client discovery and market analysis. Alison spent over 13 years in Las Vegas where she began as a Promotions and Special Events Manager for Station Casinos. She also was a Nevada licensed real estate professional where she sold luxury high-rise residential projects and was awarded with Salesperson of the Year award by the Las Vegas High-Rise Condominium Association and Salesperson of the Year for Del American Real Estate Group. 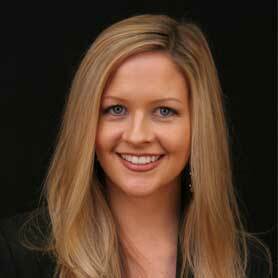 Alison holds a Bachelor of Science degree from East Carolina University in Greenville, NC.